Some recruitment agencies (well most actually) charge increased fee structures for higher level appointments. So for example Randstad charge 17% for salaries of less than £20k, 20% for salaries of £30-40k and 25% for salaries of £40k+. We have always charged flat rates regardless of salary, as for some reason it is usually easier dealing with senior solicitors and executives than it is sorting out paralegals. In fact after our last two experiences on paralegal roles I am wondering about turning our fee structure around and charging more to source paralegals and less to recruit solicitors and senior staff. Every time we get a vacancy in for a paralegal I involuntarily shudder. I know what is coming. Applicants for paralegal roles can be the most wishy-washy, non-committal, half-hearted, barely-interested candidates we have the pleasure to work with. Don't get me wrong. I know the fun and games of being a paralegal - low pay, debts to service, constant eye out for training contracts and unkept promises of future promotion that rarely materialises. 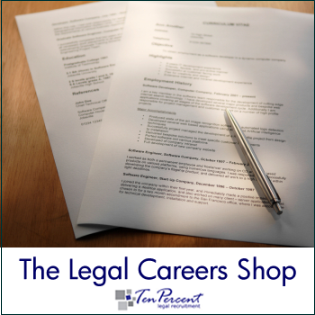 However the vast majority of paralegal applicants are absolutely dire and it is not surprising they do not progress any further in their careers. Take a recent role we have had with an in house legal department. I should start by saying that they are not particularly going out of their way to be accommodating and offers have been on the lower side, but that is by the by. Looking back at my own legal career, if someone had offered me the chance to interview for a role like this one, I would have been there like a shot. We take instructions from the client. They are a service company with an in house legal department and looking for a litigation paralegal with at least 6 months experience in defendant civil litigation and good knowledge of CPR rules and the small claims track. Salary levels are up to the mid £20ks depending on experience. We post the vacancy across our system and email our registered candidates. Within a few hours - success! Our first applicant. He lives in South London and the post is about 70 miles away. We ask him to doublecheck the location (confirmed OK), we check his salary requirements (fine) and also get further details about his litigation experience. A CV is forwarded across to the client, who immediately gets back to ask us whether the candidate is going to relocate to work. We email the candidate to check on this point - 5 weeks and lots of chasing up - no response. The second applicant comes from a job board. She is a hairdresser who lives locally to the client. The third is a welder, the fourth works in a conveyancing department and fancies a change into litigation. And so on. In fact I think to date we have had to filter about 50 CVs from candidates who do not have any legal experience at all but thought they would apply nonetheless. Candidate number 52 looks good. She lives within an hour's commute, does not have a job after being made redundant and is available immediately. We get her salary expectations and send a CV over. The client immediately interviews and makes an offer at the level requested. The candidate turns them down. Firstly she has decided they are further away than she thought and secondly she has other job interviews to attend and for posts where she may get paid a lot more. Not job offers - just job interviews. We send over another 3 or 4 CVs and arrange interviews. Another candidate goes for the post - indicates his salary - looking to return to a litigation role from administrative work. The firm offer him his current salary after interview and indicate that there is future promotion possible. The candidate turns them down. Wants more money and not prepared to give up administrative work for the opportunity to return to a fee earning role. Back to the drawing board again. Finally a candidate who had an interview arranged with the client, but then cancelled with 3 hours to spare because her firm offered her a promotion to stay, has got back in touch. She thinks she may have made a mistake - the opportunity may benefit her career more than her current role - and now wants to attend an interview. Can we set one up? The client was slightly hesitant, understandably so, but has agreed to meet. Another candidate also waits in the wings. I don't think this attitude is prevalent in many other professional industries, but every time someone posts paralegal vacancies with us this is a fairly common process. Half-hearted applications (so many CVs have spelling mistakes or just miss out basic information - name, current role, qualifications etc..), half-hearted commitment to attend interviews, a complete lack of interest in career progression or planning and no recognition of the need for professionalism. There also seems to be a lot of interest in what employers can do for candidates, but not vice versa. Are graduates encouraged to only think about themselves so much that they fail to appreciate jobs are not offered to them solely for their benefit and not the employers? Perhaps one of the problems is the general lack of a decent level of salary to justify the expenditure on training? Who knows. I do know that very often there is a reason why some people remain paralegals for a long time and are unable to get a training contract. It involves the words 'commitment' and 'lack of'.